Tulip cupcake papers have become prevalent in upscale bakeries around the world. With four peaked tips, muffins and cupcakes look like they are nestled inside a flower. 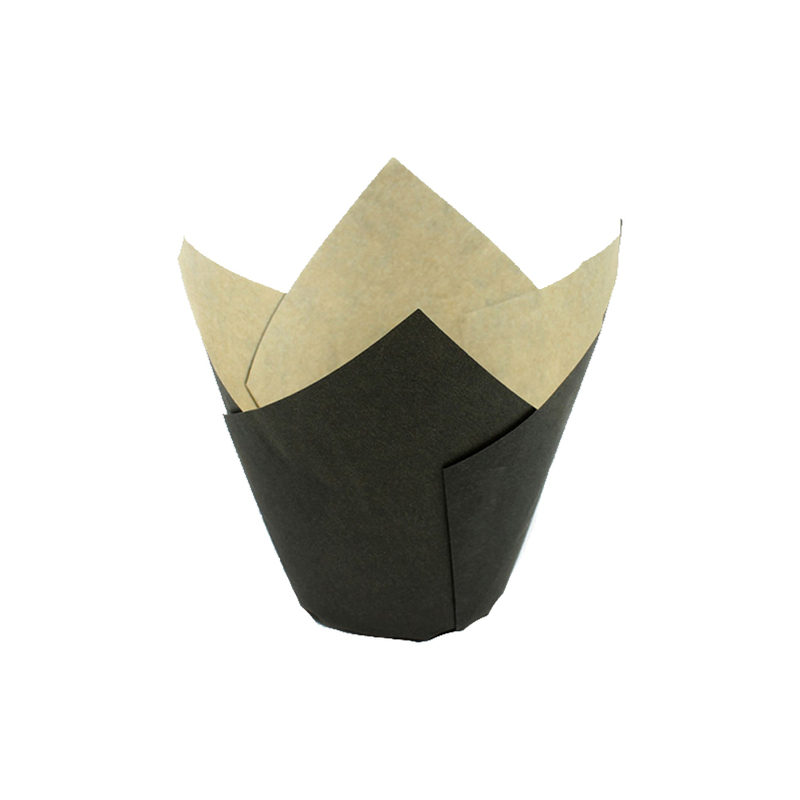 Novacart presents their range of greaseproof Tulip cupcake papers with a black exterior and ecru interior for the home and professional baker. These cups are constructed from high quality Swedish paper with grease-proof characteristics, so you don’t have to worry about messy grease stains on your final product. These baking cups are NOT free-standing.